Natalie is on point! It features a stainless steel front with acetate temples, wire rim bottom, and just a hint of cateye. The look of this frame compliments its functionality perfectly. You can crush any project in front of a digital screen with these computer glasses. We assign fit based on the width of a frame. Looking for something smaller or larger? Head back to the main product pages to sort by size. These numbers can be confusing. Let us explain. 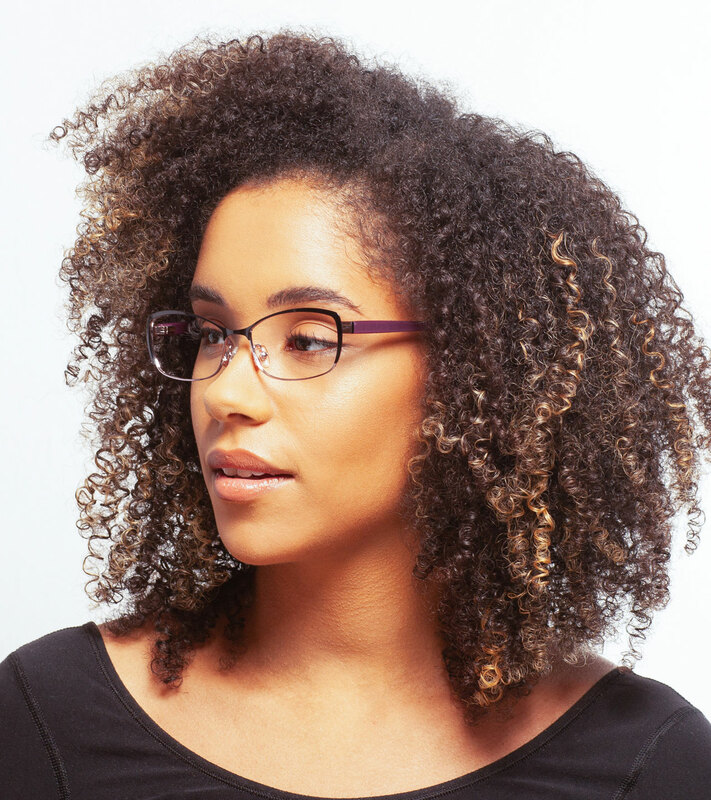 These numbers are in millimeters detailing the lens width, bridge width, and temple arm length. Looking for something similar to a frame you current wear? Look on the inside of the temple on a frame you own. All of our lenses come standard with a blue light reflecting coating and a hard coat to deter scratching and fingerprint smudges. Our lenses are all optical quality (even the non-prescription and readers!). Choose your lens type below, and we will custom make your lenses in our lab in Pittsburgh, PA.